Ricky Jacobsen was born in Belle Fourche, South Dakota, on December 13, 1952, and grew up on a sheep ranch near Castle Rock. He graduated from Newell High School and joined the Army. Afterward, he returned to western South Dakota and took classes at Black Hills State University. Ricky then moved to Nebraska and attended Wayne State University. While in Nebraska, he pursued his passion: performing live music with a well-known band, Shiloh. Ricky was a master at the keyboard. Hammond organ was his forte, but he was great on any keys. He later became proficient in sax and accordion. He had a blues voice with a great range for his band or solo work. His business was music – and business was good. Ricky played with many groups from the 1980s into the 2000s. 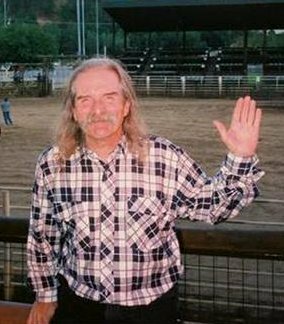 Western South Dakota, eastern Montana, eastern Wyoming, northern Nebraska and parts of North Dakota knew of Ricky and his talent. He played in country bands, rock bands, country/rock bands, and he really shined in jazz and blues bands. Some of the memorable groups he performed with are: Out of the Blue Band, Twisted Krust, Screamin Angels, Tubesteaks, Crash Wagon, and DD & The Fayrohs. He also formed a jazz R&B group called Jijazz with some of the finest jazz players in the Midwest. More recently, he played every weekend in Deadwood with the Brandon Sprague Blues Band. In 2006, Ricky joined Hank Harris and Kenny Putnam, making two CDs entitled “Deadwood Songbook” featuring the popular songs of the 1800s. The Deadwood Songbook was heralded as a historic collection of the many sounds of Deadwood. Included in the songbook are Celtic, Italian, Chinese, Jewish, Lakota and good ol’ American cowboy songs. A live performance of “Deadwood Songbook” was filmed by South Dakota Public television featuring the trio and host of other guest players. Ricky played with Houdek for just a brief period (2008-2012) in his long musical career, but his contributions to the group cannot be overstated. Houdek started as a collective of musicians paying tribute to their home state of South Dakota by writing and recording original music. Distance was a barrier to recording, requiring members to mostly lay down parts independent of one another. If it wasn’t for Ricky’s tremendous musicianship and tasteful ear, “Return to Houdek” – an album of 15 original songs – would never have been released. When Houdek played important shows at the Grand Opera House in Pierre or Saloon 10 in Deadwood, for example, it was once again Ricky who made it possible to put on quality shows despite incredibly limited rehearsal time. Ricky is known for his playfulness, but it was his tremendous skill as a musician that earned him the nickname “The Glue” within Houdek circles. Whether propelling the sound with powerful organ, serving a song with tasteful layers of keyboards/accordion or delighting listeners with imaginative piano and saxophone solos, Ricky’s professionalism provided the soil in which Houdek’s sound developed and took root. Like most of the performing musicians in the area, Ricky played by ear. Some see this as a super power, but many working players say it’s the only way to function. To cover popular ‘60s and ‘70s rock or country hits, it wasn’t possible to get the sheet music, and if you could get it, it was wrong. There was no Internet to run to for chord charts or lyrics, so back in the day, musicians would listen to a song over and over until they ruined the vinyl record and could play the song. Ricky always managed to fool his piano teachers at early lessons. He would ask his teacher to play the song for him first, and then he would memorize it upon hearing it just once. He carried that tradition with him in later life, able to fill in with bands with whom he had never practiced. If he had heard it, he could play it. It would be unfair to write about Ricky without mentioning his incredible wit and sharp mind. Many people might have seen him as a talented guy with a great sense of humor, but Ricky went much deeper than this single lens. Well-educated and well-read, Ricky could discuss any subject with seriousness beyond the funny guy demeanor. But make no mistake, like many quick-witted individuals, Ricky read people quickly and did not suffer fools, unless they were buying. There are many historic characters remembered in the Black Hills of South Dakota. Those who knew Ricky believe he has earned his place as an original Deadwood character, along with Bullock, Hickok and Calamity Jane. Ricky brought his talent into many regional venues, but Lead/Deadwood was his home. It was there that you would see him scurrying between jobs carrying a keyboard, accordion or sax. He always had a smile for a friend and a laugh that could easily be heard a block away. He was our brother, friend, and a gifted musician. He left us too soon. If there is a rock and roll heaven, Ricky is there, giving Ray Charles a run for his money on “Georgia” and smiling.